Make your stay even more memorable by adding one (or more) of the following packages. 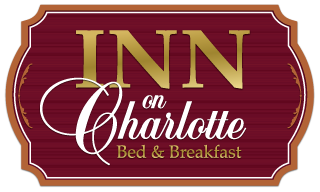 A Soft & Supple Kimono Waffle Spa Robe ~ with the Inn On Charlotte's stylish logo embroidered on it ~ helps you remember the wonderful time you had at the Inn on Charlotte. Or, it's a great gift for the ones you love.